We had our correct hats on, Clare and I. Perfectly synchronized with each other and with the view. And I will admit, a little ‘cheating’ went on here: the hats in the picture are my actual design for the hat, worked into the picture. Because I don’t see why I should draw something twice! Swimming at Clevedon in our special Pier hats! 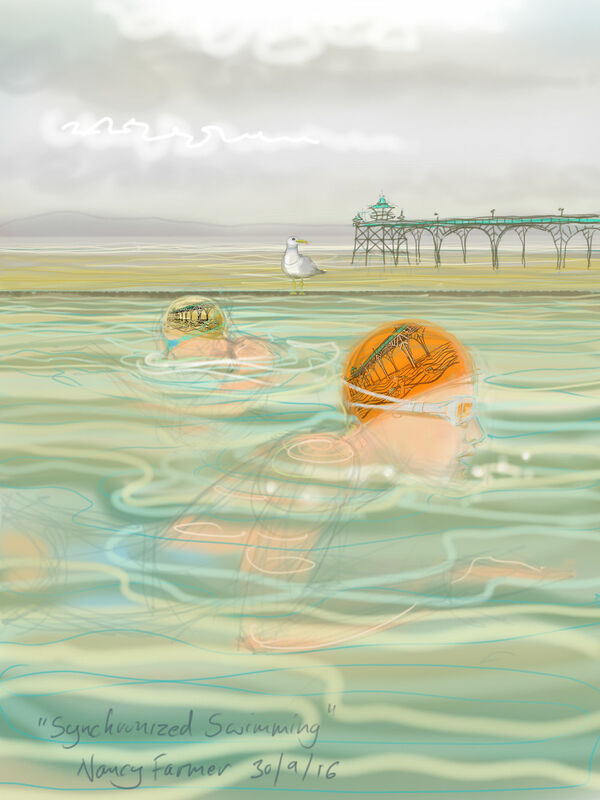 This entry was posted in swimming and tagged art, breaststroke, Clevedon Marine Lake, Clevedon Pier, drawing, illustration, open water swimming, swimming, swimming drawings on September 30, 2016 by Nancy Farmer.